Gross Weight Rating 2,960 lbs. 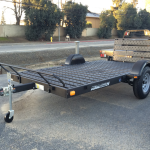 The KUS is the newest addition to Karavan’s utility trailer line. 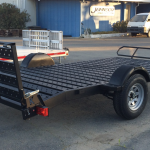 It’s a simple, tough, small utility trailer designed for hauling UTVs and ATVs. 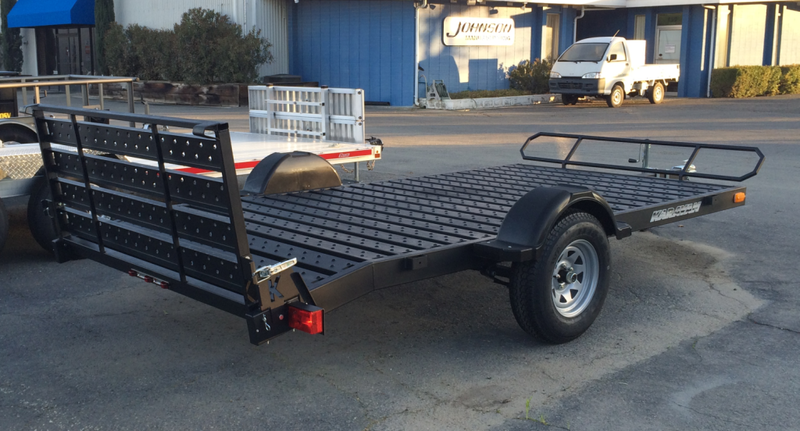 This is the perfect trailer to haul your Razor, Rhino, Wildcat, or other Side-by-Side. 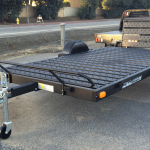 Easy loading, easy tie down – that’s what the KUS is all about. 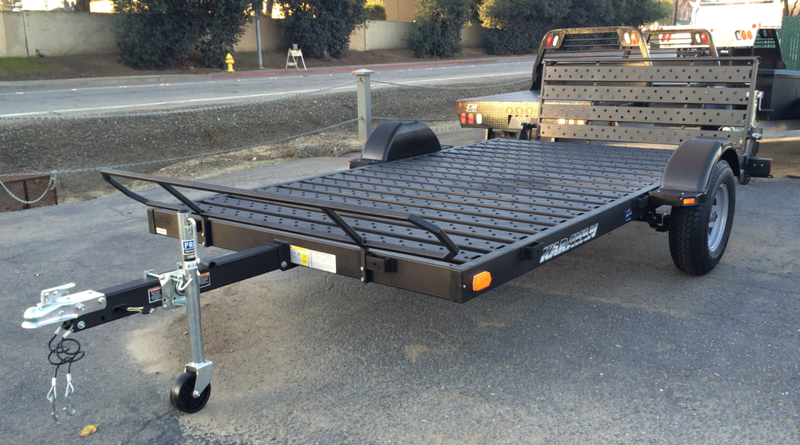 The steel plank deck sits 21″ high and is made of precision-formed sheets to keep it strong and lightweight. 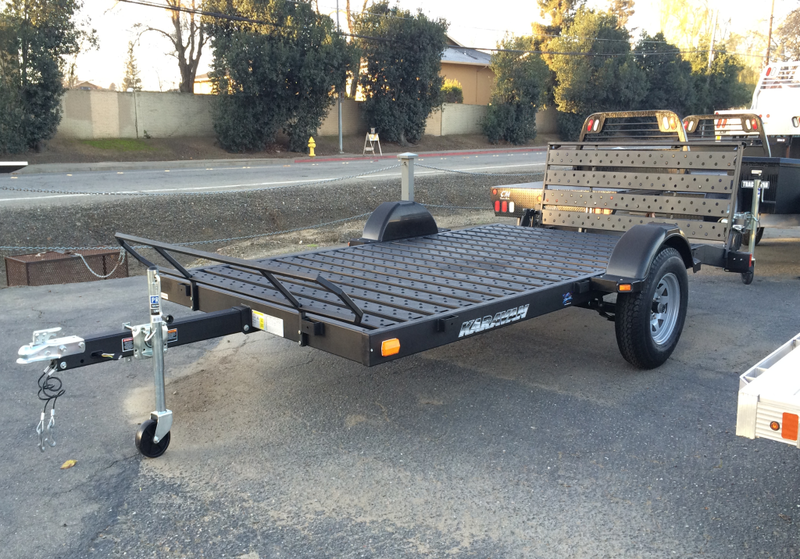 The 13ft deck has a 2ft dovetail at the rear with a 2’6″ fold-up rear ramp. There are hundreds of tie-down locations thanks to the special design of each deck plank. 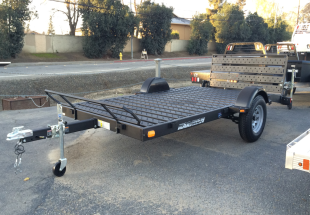 Most people rear load on the KUS, but if you need to fit 4 large ATVs you can also side load. The KUS is beautifully finished with a high quality black textured powder coat finish.